On July 10, 2014, UMUC President Javier Miyares initiated a community dialogue at a global Town Hall meeting at the university's Academic Center at Largo. There, he introduced a report from the Ideation Group—a volunteer team of outside business leaders—that recommended changes to the university's business model. University of Maryland University College has a proud and successful history as an innovator in adult higher education. Today, UMUC is harnessing the power of learning science and technology to develop and deliver high quality, cutting-edge education that is accessible and affordable to adult students in Maryland and around the world. The university is, in fact, a global leader in innovative educational models with award winning online programs that are in high demand. As the university looks to the future, it faces new challenges. The higher education landscape is undergoing a revolutionary transformation due to a highly competitive marketplace and rapid technological change. To meet these challenges, and as a supplement to the university's strategic planning process, President Javier Miyares invited global business leader and UMUC Board of Visitors Chair Mark Gerencser to lead a team of volunteer, outside experts in a process called ideation that included a far-reaching evaluation of the higher education environment. The Ideation Group's goal was to identify opportunities and challenges that are most relevant to UMUC and to offer recommendations. As part of the process, the Ideation Group reviewed UMUC's existing business model as well as alternatives that would help the university achieve a sustainable growth path. The group has now completed its work and has recommended that the most effective business model going forward would be a not-for-profit entity affiliated with the University System of Maryland. UMUC needs a sustained growth rate of 5-7 percent per year to be able to keep tuition down. As a tuition-driven university that receives relatively little state funding, this can only be accomplished by increasing enrollment. In its present form, as an institution that primarily serves Maryland citizens and military personnel, it has become increasingly difficult for UMUC to achieve this level of growth, because Maryland is a relatively small state and the military is shrinking. So, the university must compete for students on a national basis. To do that, UMUC needs a business model that allows for greater flexibility to compete with large state universities and for-profit institutions while maintaining its historic public mission and purpose. President Miyares is now seeking input from faculty, staff, students, and other stakeholders on the findings of the Ideation Group as part of the process of review by senior leadership. At the Town Hall, President Miyares emphasized that while the Ideation Group explored a number of business models, the university will not become a for-profit entity, nor will it leave the University System of Maryland. Once community input is received and assessed, President Miyares will offer a recommendation to the USM Chancellor and Board of Regents for their consideration. Previously, I invited your feedback on our draft mission statement, vision statement, and goals (see below), and I appreciate your thoughtful input. Now, I would like to introduce a draft cultural aspiration statement—developed by members of our University Cabinet—which will become another important element of our updated strategy. Again, I invite you to share your perspectives through the feedback form to the right. The cultural aspiration statement has a different purpose from our mission, vision, and goals. Our mission describes our purpose and why we exist; our vision describes who and what we want to become; and our goals unite us to pursue common results across our many programs, projects, tasks, and activities. The cultural aspiration statement describes how we will work together to realize the vision and goals. We also intend to retain our core values (Students First, Accountability, Diversity, Integrity, Excellence, Innovation, and Respect). Culture, though intangible, is very real. It is based upon our values, assumptions, beliefs, and heritage. We experience our culture through the behaviors that we share and use in the course of our daily work. Overall, culture describes actions and behaviors that lead to decisions—decisions that in turn define the overall performance of our university. Our draft cultural aspiration statement describes clearly and precisely what we want our culture to be. It outlines how we aspire to work together every day—in our meetings, our correspondence, our courses, our policies, and so on. You will notice a clear and intentional theme—students first—that becomes a measure we can use to evaluate how we are doing on a daily basis. Our actions, behaviors, and decisions must place students first. Ultimately, the cultural aspiration statement will be incorporated into our daily business operations. Expect to see it in our updated strategic plan, posted on our website, included in onboarding orientation, and integrated into our recognition and rewards. It will change and evolve over time, much as our university will change and evolve. It will be reviewed periodically, as we also revisit and clarify our focus on our mission, vision, and goals. Please take a moment to read the draft statement presented here. It offers a snapshot of what we want working at UMUC to be about, and it will become an important measure of the work we do each day. As always, I invite and encourage you to review the content here and use the feedback form to share your thoughts. The UMUC Cultural Aspiration Statement describes how we will work together to realize the vision and goals . . . Demonstrate passion for the work we do, and have fun doing it. For UMUC—a global institution in a highly competitive and constantly evolving market—it is imperative that we clearly articulate our mission, vision, and goals. Together, they guide our path forward, internally and externally, sharpen our focus on the needs of our students, and aid us in measuring our progress. The working drafts that follow have been developed with significant input from faculty, staff, students, and alumni through questions and comments submitted to the UMUC Future web page and in the small group sessions conducted throughout September. We also benefitted from a year-long community discussion around our academic model transformation alternatives, aspirations, and plans. Members of our Executive Committee and Cabinet considered this wealth of input and perspective in developing our draft mission, vision, and goal statements. Now we invite and encourage our global community to participate in the process. Please use the feedback form on the right to share your perspectives on the working draft mission and vision statements and goals. We will collect feedback through December 24, 2014. The updated versions will be included in the draft strategic plan, which will be offered to the community for comment early in 2015. Your input is valued, and our collective wisdom makes us stronger and better. I look forward to receiving your perspectives and insights as we move forward together in this process. The UMUC Mission Statement articulates our purpose . . .
Operating as Maryland's open university, serving working adults, military service men and women and their families, and veterans who reside in Maryland, across the United States and around the world. Providing our students with affordable, open access to valued, quality higher education. Serving as a recognized leader in career-relevant education, embracing innovation and change aligned with our purpose, and sharing our perspectives and expertise. Please use the feedback form on the right to share your perspectives. We will collect feedback through December 24, 2014. The UMUC Vision Statement focuses on the transformation of our academic and business models and describes where we want to be in three-to-five years . 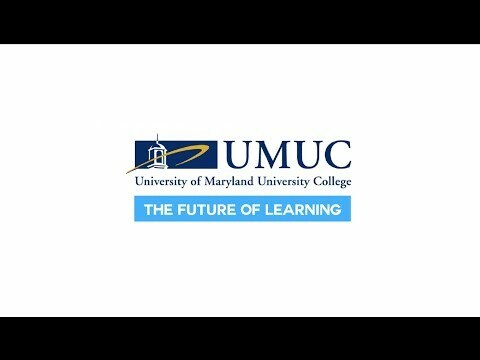 . .
UMUC will be a recognized leader in learner-centered adult education, focusing on career-relevant programs that build the skills, competencies, and capabilities that our students need to realize their professional aspirations. We will transform ourselves to place student interests first in all things; support sustained quality academic innovation; and become more agile, efficient, and effective. Our Goals center around six critical performance areas and offer benchmarks by which we can measure our progress . . .
Our Strategic Plan provides a forum to tell our story . . .
We are drafting the strategic plan update with wide input from all sectors of the university. Our goal is to complete the draft by the end of this year, and we will engage our full community in the review and comment process through online forums, webinars, and face-to-face sessions in early 2015. Your voice matters, and your insights make us stronger. Together, we can create a better world for our students, our alumni, our faculty, and our staff. President Miyares has been meeting with UMUC's advisory councils to hear member views firsthand. Additional meetings are being scheduled to hear the views of all others who have posted comments or questions on this web page. The series of small group sessions will be held in Largo and Adelphi during September. Two WebEx discussions will be scheduled to hear the views of UMUC community members elsewhere in the country and overseas. To ensure candid discussions, comments offered in these small group sessions will be summarized and shared with President Miyares with no names attached to the report. A summary of the sessions will be posted on this web page so others can respond and add their voices to the discussion. This process is designed to elicit the views of all who have suggestions about how UMUC can best serve our students, as well as the path forward for the university. Learn about the Ideation Group's report with recommendations for a new UMUC business model. Learn how UMUC—in partnership with several major foundations—is exploring innovative ways to improve teaching and learning. I've heard a lot of references to competency–based education (CBE). What is it, what does it offer, and how does it fit with the changes that the Ideation Group has recommended? Competency-based education (CBE) is a way of thinking about education that, if put into practice, shapes all aspects of the student experience—the curriculum, assessments, pace of learning, even learning itself. A CBE model that is designed around UMUC's unique mission and the needs of our students will enable us to transform the education experience, assure quality curricula and learning, and help our students change their lives. The new business model is expected to provide additional funding for precisely this level of innovation in higher education. Why doesn't UMUC place more emphasis on academic quality as a way to differentiate itself from its competitors? In fact, when President Miyares accepted the UMUC presidency in 2012, he identified academic integrity and quality as a cornerstone of his administration. Further, the overall objective of the proposed new business model now being discussed is to strengthen our ability to invest in academic quality. And how do we define quality? At UMUC, it is measured in terms of the knowledge, skills, and achievements of our students, both in the classroom and in the workplace. If our students learn and—after graduation—add value as employees and community members, we have achieved our goal of delivering a quality education. Within that context, five guiding principles drive our institutional commitment to continuously improving and enhancing academic quality. We design our academic programs to enable students to explore, master, and ethically put into practice the new and relevant knowledge, skills, and dispositions they will need to achieve their personal and professional goals. We recruit and hire faculty who have extensive academic and professional experience in their respective disciplines, and we support them as they work to foster student learning. We embrace teaching methods that use the most current, innovative, and effective instruction models that engage and support students throughout the learning process. We use a variety of means to assess student learning and ensure that students are achieving the stated knowledge, skills, and levels of preparation they need to succeed academically and professionally. We structure our programs and services to support and promote the efforts of our students and alumni, providing them with lifelong learning opportunities as they pursue their personal and professional goals. Finally, it is important to make certain that one does not confuse academic quality with exclusivity or the cost of tuition. As an open access institution, UMUC accepts all qualified applicants and provides them with an affordable education. Further, we do not define quality in terms of the mode of delivery, the time a student spends in a classroom, the textbooks used, or the research credentials of the faculty member leading the class. We provide value to students by delivering education that prepares them to succeed in the workplace of today and tomorrow. Will we remain in the University System of Maryland and retain our name? Will faculty and staff be employees of the State of Maryland after all is said and done? Will "Meet and Confer" continue and be subject to policy statements and regulations of the University System of Maryland? Under Maryland statutes, faculty of public institutions are not allowed to engage in collective bargaining. In lieu of collective bargaining rights, the USM Board of Regents established a process called "Meet and Confer." Through this process, institutional management is mandated to "meet" twice per year with representatives from the adjunct faculty to "confer" on issues related to their working conditions (including pay). Adjunct faculty have a right to ask that a labor union of their choice represent them in "Meet and Confer." UMUC adjuncts have organized themselves as the Adjunct Faculty Association, but elected not to have a union represent them for purposes of "Meet and Confer." Is there a dedicated forum for discussing the pros and cons of the Ideation Group's report? As President Miyares indicated in the July 10 Town Hall, he will comment on specific elements of the recommendations for internal audiences via his blog on Engage. This provides a forum for community discussion while also helping to keep the conversation organized. In addition, these FAQs are being updated regularly in response to questions and comments submitted here. The university is also exploring other methods to engage the broader community. Can I see the report of the Ideation Group? You can watch the video prepared by the Ideation Group or read the executive summary.